Elizabeth Gaskell described Sylvia’s Lovers as the saddest story she ever wrote & I would have to agree. 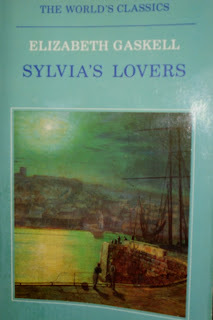 Sylvia’s Lovers is a historical novel set in the fictional town of Monkshaven (based on Whitby in Yorkshire) at the time of the Napoleonic Wars in the 1790s. Sylvia Robson is a beautiful, wilful girl living on a dairy farm just outside Monkshaven. Her father, Daniel, has been a sailor on whaling ships in his youth & her mother, Bell, better educated & from a slightly better class than her husband, is a good housekeeper & quite strict about Sylvia’s friends & associates. A woman forced her way up from the bridge. She lived some little way in the country, and had been late in hearing of the return of the whaler after her six months’ absence; and on rushing down to the quayside, she had been told by a score of busy, sympathizing voices, that her husband was kidnapped for the service of the Government. She had need pause in the market-place, the outlet of which was crammed up. Then she gave tongue for the first time in such a fearful shriek, you could hardly catch the words she said. Sylvia has taken shelter in the draper’s shop where her cousin, Philip Hepburn, works. Philip is her mother’s nephew & a great favourite with his aunt if not with Sylvia. He is staid, quiet, a little pompous & very careful. His one passion in life is his love for Sylvia. She barely notices him & is irritated by his proprietorial attitude to her. He calls her Sylvie as though she were still a little girl. He tries to teach her to read but she’s too impatient to attend. Philip is loved by Hester Rose, a quiet, devoted girl who also works in the shop but Philip treats her fondly as a sister & never sees how she really feels. Molly encourages Sylvia’s vanity & carelessness & is full of stories about her cousin, Charley Kinraid, the specksioneer or harpooner on the whaler just returned. Charley was injured trying to stop the press gang take his fellow sailors & is treated as a hero by the Monkshaven people. When Sylvia meets Charley, she’s more than half in love with him already & it’s not long before he’s attracted to her. Philip’s jealousy of the bold, handsome sailor is all-consuming but his own attempts to court Sylvia are a failure. Charley & Sylvia become secretly engaged just before he leaves on another voyage but when Charley disappears without trace, Sylvia is distraught. His hat with Sylvia’s ribbon tied to it is found washed up on the beach but it’s not known whether he drowned or was taken by the press gang. Only Philip, who followed Charley from the Robson’s farm that night, knows what happened & he doesn’t tell Sylvia. This one act of omission is the pivot on which the tragedy of the book turns. Philip convinces himself that Charley would never have been true to Sylvia & it’s kinder to let her forget him. He takes advantage of his knowledge & his position in the family to console Sylvia but doesn’t admit that their relationship is based on his treachery. The press gang return to Monkshaven & Daniel Robson leads a gang to release some of the men they’ve captured. When the rescue turns into a riot & an inn is burnt down, Daniel is arrested as a ringleader & committed for trial. This is the beginning of Sylvia’s real suffering. It is possible that Philip was right at one time when he had thought to win her by material advantages; but the old vanities had been burnt out of her by the hot iron of acute suffering. A great deal of passionate feeling still existed, concealed and latent; but at this period it appeared as though she were indifferent to most things, and had lost the power of either hoping or feeling much. She was stunned into a sort of temporary numbness on most points; those on which she was sensitive being such as referred to the injustice and oppression of her father’s death, or anything that concerned her mother. 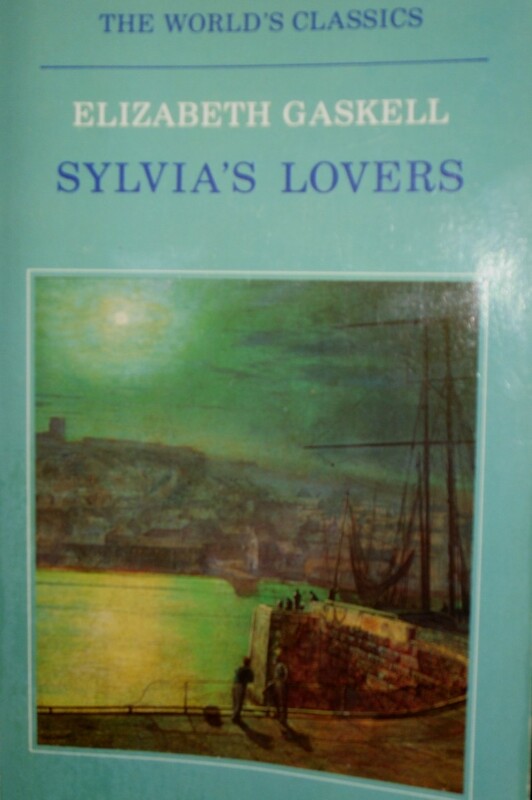 Sylvia’s Lovers reminded me of Thomas Hardy’s Mayor of Casterbridge & I have to wonder if Hardy had read it. The workings of Fate are everywhere & Philip’s act of treachery has far-reaching consequences. I can understand why Sylvia’s Lovers hasn’t been adapted for television or film. It certainly doesn’t have the sunny atmosphere of Cranford or Wives & Daughters or the passionate love story at the industrial heart of North & South. It’s much more in the style of her Ruth & Mary Barton. I first read it many years ago & I remember being irritated then by Sylvia’s pettishness & vanity. This time I was moved by her sufferings, I’d forgotten most of the details of the last half of the book, & I loved the atmosphere that Gaskell creates. I've been to Whitby & walked up to the ruins of the Abbey on the cliffs overlooking the harbour. It's a very dramatic landscape & a perfect setting for a story of love & tragedy. Gaskell visited Whitby after she wrote her biography of Charlotte Brontё & was inspired to write Sylvia’s Lovers by the stories she heard there of the old days. The raid led by Daniel Robson on the press gang was based on a real case but the atmosphere & the personal stories of Sylvia, Philip, Charley & their families are all Elizabeth Gaskell’s own. 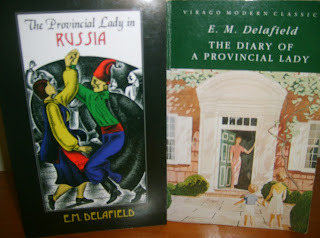 She was also inspired by several historical novels published around the same time such as George Eliot’s Adam Bede & Charles Dickens’s A Tale of Two Cities. Sylvia’s Lovers was published in 1863. I read this years and years ago, more because of the Whitby connection as it is a place I love, than anything else. I remember being equally irritated by Sylvia at the time, so maybe I need to re-read it from a more mature perspective (!) and see if I feel more sympathetic towards her! Shamefully it is still the only Gaskell I have read, despite having several of her books on my shelf! These are books that I am going to read when I 'have time'! I was still irritated by Sylvia at the beginning but I felt much more sympathy for her as the book progressed. She really did have a lot to cope with. This is one of my favourite Gaskell novels. I do feel, though, that because she rushed to complete it, she left out details that might have helped make it less One is anything but a cursory development of the theme of Sylvia[s disillusionment with Kinraid after he marries so soon after losing her. kills two press gang members initially (escaping inevitable hanging for that because he is taken for dead) but later, ironically, is promoted in the Royal Navy to Captain - where, as we know from Hornblower, he would have routinely to use press gangs to round up enough men to leave port, and not be too scrupulous about whether they were sea faring men or not -he comes across to me as an opportunist, and a man with hot but fleeting emotions. He swears he'll wed Sylvia or no-one, but he's married seven months after their last dramatic meeting. have been so infatuated with Kinraid, or need to rely on Hepburn's money. I thought Kinraid was more Sylvia's ideal of a man than anything else & that was why he was presented so sketchily. He's also not present for much of the book. His effect on Sylvia & Philip is more important than the real man. As I said, I felt much more sympathy for Sylvia the second time I read it, especially as she was used by both Kinraid & Philip without a chance to have any influence on her own future.